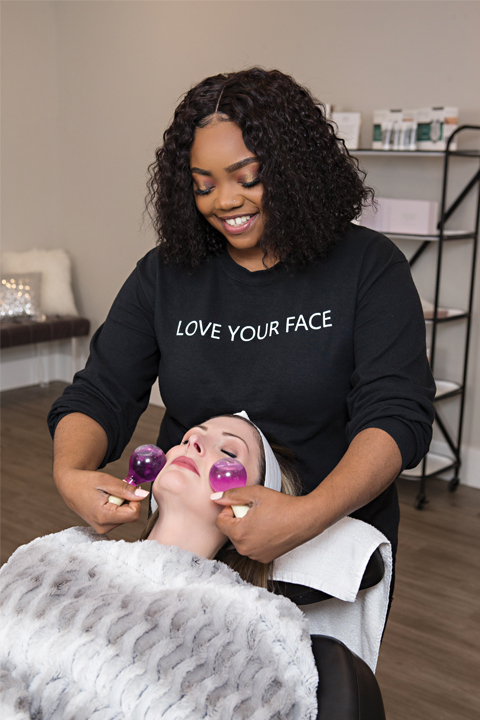 After moving to Jonesboro in 2017, Crystal Booth opened a unique business unlike anything else available in the city; at Fizz Facial Bar, customers have an opportunity to enjoy self-care at its finest with an array of hand-crafted facials in a comfortable and convenient setting. Booth, a native of Kentucky, moved to Jonesboro after her husband, Timothy, an Arkansas State University alumnus, suggested it as the perfect place for the two to reside. While living in Kentucky, Booth attended the University of Kentucky, where she received a bachelor of arts degree with an emphasis in makeup for theatre and film. 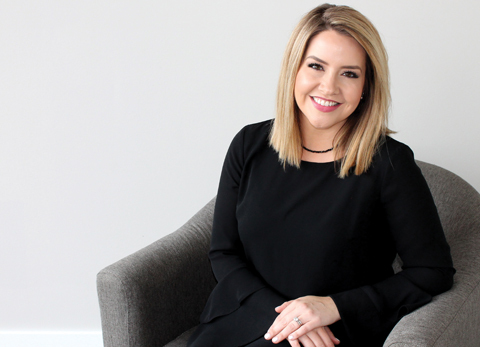 In 2009, Booth took her newfound love of skin health to the next level and started working for a cosmetic dermatologist. Following that, she became a licensed esthetician in the state of Kentucky. After receiving her accreditations, she mastered a variety of treatments, including chemical peels, microdermabrasion, micro channeling and dermaplaning, while working in medical aesthetics. Booth’s passion for skincare continued after her move to Jonesboro, and she became a licensed esthetician in the state of Arkansas. After years of working for others in Kentucky, Booth decided that opening her own business in a new city was a risk she was willing to take. 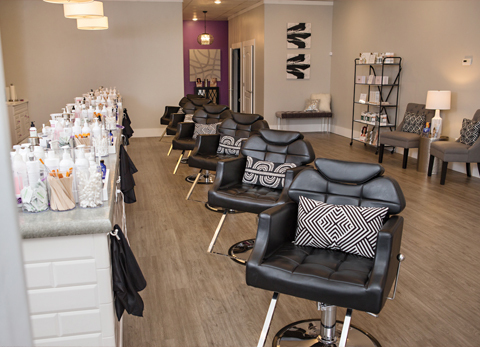 Fizz Facial Bar opened its doors in June 2018 and quickly became a rejuvenating and relaxing hot spot for the community. Fizz Facial Bar strictly follows the motto “no fuss, just fizz” by making its mission cutting out wastes of time and money, giving its customers effective, affordable and accessible skin care treatments that fit easily into any schedule. If a client chooses to sit at the facial bar for their treatment, they can be in and out in about 30 minutes. Walk-ins are also welcome, though appointments are recommended. With more than 25 facials and treatments to choose from, Fizz Facial Bar has treatment options that target several problem areas, including dullness, breakouts and aging. Facials offered at Fizz Facial Bar are customizable, meaning that Booth’s group of estheticians can work around a client’s strict allergies and sensitivities. Other popular facials include the Enzyme Glow, a botanical acid facial that gently sloughs away dead skin, and the Pro 5 Exfoliation, a facial that includes five types of alpha hydroxy acids that exfoliate and brighten the skin. All products used in Booth’s facials are specifically designed to have high potency and purity. Fizz Facial Bar also offers professional products and treatments by popular brands such as iS Clinical, Circadia, glo Skin Beauty, My Skin Buddy and NuFace for purchase in-store. Booth recommends first-time clients start directly at the bar where one of six licensed estheticians can assist them in having the best experience possible. The private treatment room facials include the acne facial, anti-aging facial and a traditional spa facial. Clients can also choose from a list of advanced treatments to enjoy in the private room, including a chemical peel or derma-peel. When it comes to booking private parties, Fizz Facial Bar offers a relaxing and fun alternative to any gathering. Fizz Facial Bar also offers Club Fizz, a $39 a month membership that includes a free monthly bar facial of the client’s choice and 10 percent off everything in-store. Other promotions and private party options are also available for all Club Fizz members. Booth says the excitement in the esthetics business never ends, because new products and facial services are always on the rise. Because of the business’ success, Booth has recently decided to expand and open another Fizz Facial Bar location in her home state of Kentucky. She says that because of Jonesboro’s positive response, she is confident about taking another big leap. Fizz Facial Bar, located at 2810 E. Highland Drive, is open Monday through Saturday from 10 a.m. to 7 p.m. and Sunday from 1-6 p.m. To stay updated about new facials and products or to book an appointment, find Fizz Facial Bar on Facebook or Instagram or call (870) 938-0166.